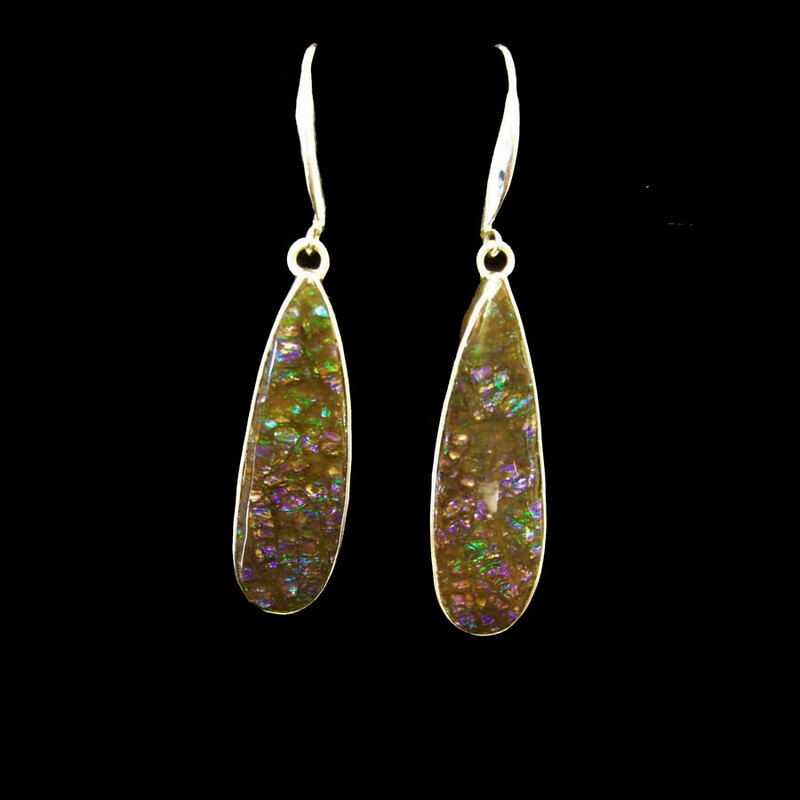 Amazing Ammolite drop earrings! 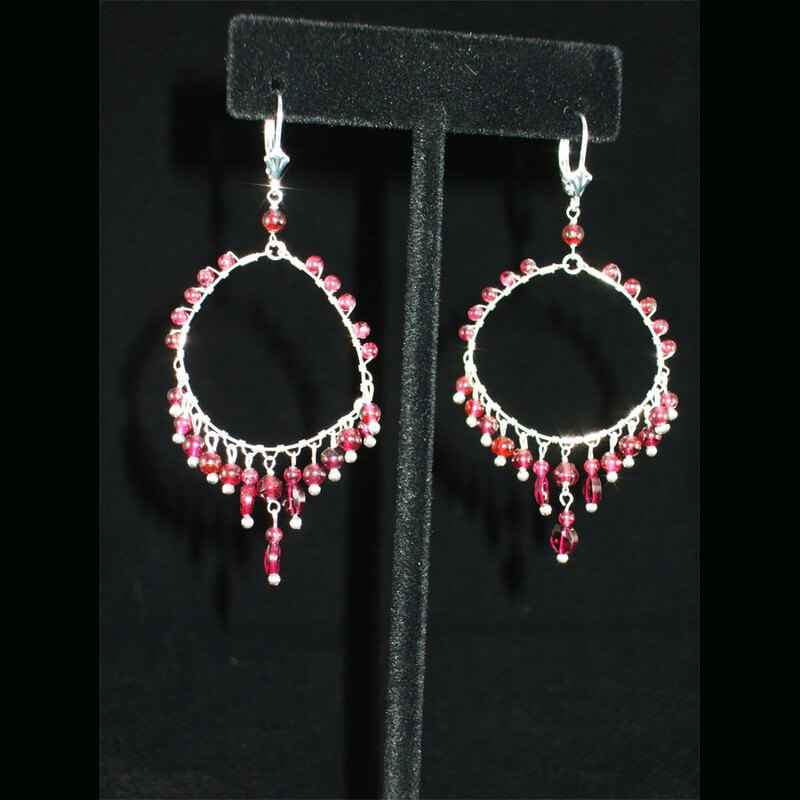 Ammolite is so hard to find and these .925 Sterling Silver earrings are just wonderful. They are approximately 2 1/2″ in length. 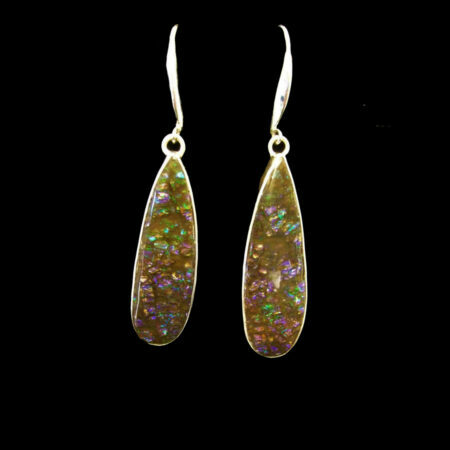 They are a darker color with flashes of the opal colors throughout them. 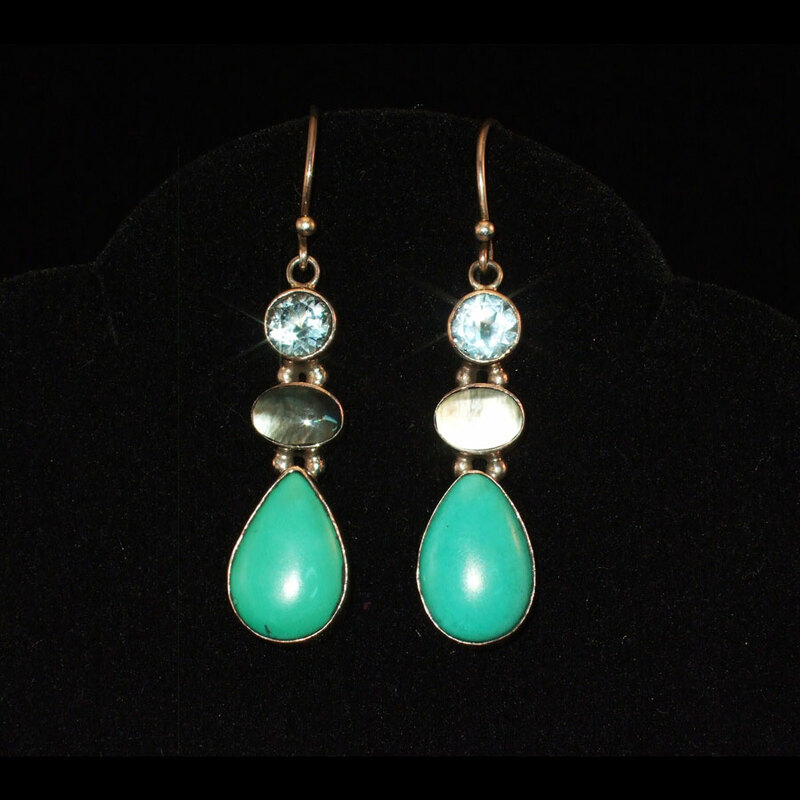 Just a gorgeous pair of really hard to find earrings!